Because it's an important meal, supposedly. “Breakfast is the most important meal of the day.” We have all heard it a million times from our parents, teachers, magazines, even TV. But when you roll out of bed at 8:10 for your 8:30, eating breakfast isn’t exactly the first thing on your mind, but should it be? How important is breakfast actually? Unfortunately or fortunately for some, the importance of breakfast is not just another food myth. Breakfast is in fact essential to your daily routine. Eating a nourishing meal in the morning provides you with energy and makes you feel alert. It also gives you the ability to focus and concentrate better, an improved short-term memory, and even weight maintenance. As college students in our under-slept, over-worked natural habitats, a healthy breakfast in the morning is the least we can do for our bodies, which take a considerable amount of battering during our four years. While breakfast isn’t exactly the solution to getting a 90 on your organic chemistry test, it is the first step towards a better day and healthier lifestyle. A nourishing breakfast that will keep you full and provide you with the health benefits is easily accessible from your room. A good breakfast must have an element of protein in order to keep you full throughout the morning. Breakfast should also consist of carbohydrates to give you energy, but it is important that they are whole grain in order to provide fiber and nutrients, as white refined carbs provide little nutritional value. Lastly, when incorporating dairy into your morning meal make sure it is low fat because full fat dairy consists of unnecessary and unhealthy saturated fats. Now that we know what a healthy breakfast consists of, here are some breakfast ideas that are easily made in your room. It seems that people are constantly changing their ideas about eggs; one day they are healthy and and the next, they contain too much cholesterol. So once again, what’s the bottom line? Eggs are in fact healthy for you. They contain a lot of protein to keep you full, which is very important throughout the day. While eggs contain a relatively high amount of cholesterol, saturated fats are the factors that affect blood cholesterol, not the cholesterol found in foods. 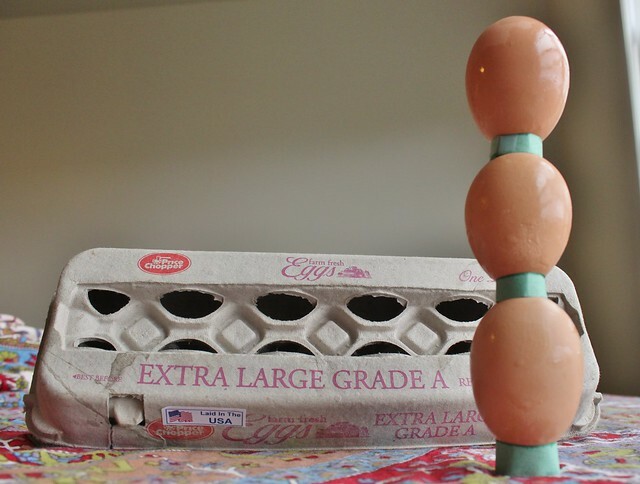 You can eat them hardboiled, scrambled, or in an omelette; you can even microwave them in your room. 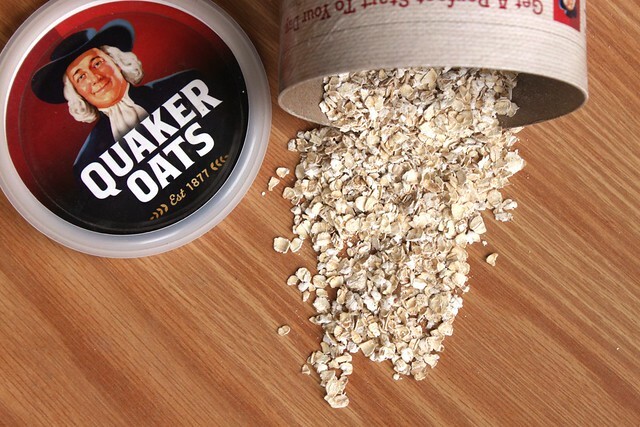 Oatmeal is one of the best foods you can eat for breakfast. Oatmeal provides carbs for energy, but also nutrients such as Omega-3s, potassium and it has been shown to lower cholesterol. 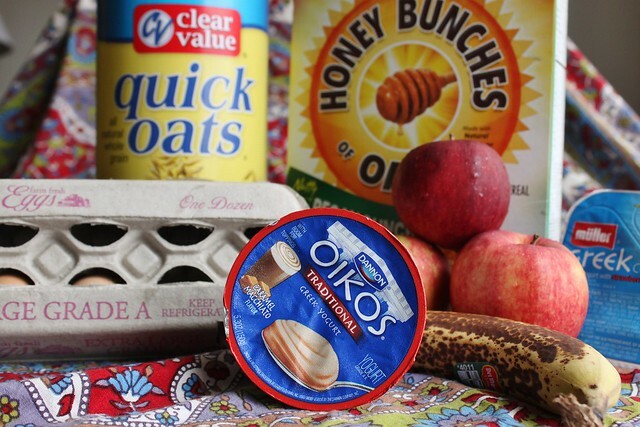 You can customize your oats almost anyway you like with honey, fruit, nuts, or chia seeds. Microwavable oatmeal is extremely easy, just be sure to stay away form the pre-flavored packets as they contain a lot of hidden sugar. You can even make your oats the night before in the fridge by mixing uncooked oats with yogurt and refrigerating for a few hours; breakfast doesn’t get much easier than this. Toast is a traditional and quick option for breakfast. Make sure its whole grain bread that provides fiber and heart-healthy benefits. Spread some peanut butter on for added protein and healthy fats. When eating cereal look out for whole grains again but watch out for added sugars, some cereals can contain a whopping 25g of sugar per-serving, try to look for cereals with under 5 g.
Yogurt starts the day off right by providing calcium, probiotics and protein. 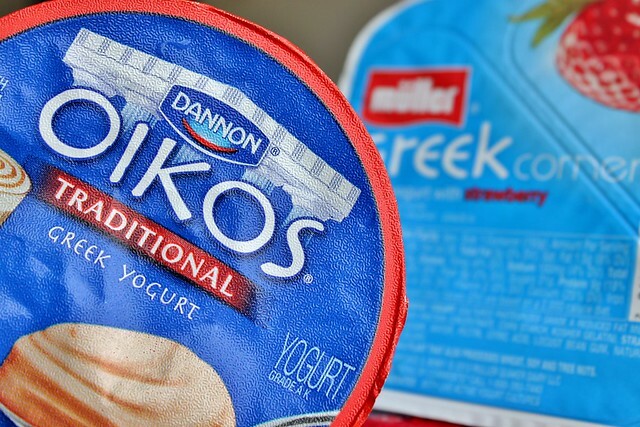 Greek yogurt contains an especially high amount of protein, but try to buy plain and add your own toppings because pre-flavored yogurt contains an unnecessary amount of sugar. Add granola or fruit for extra nutrients and energy. Breakfast doesn’t have to be the ignored meal. It is easy to incorporate into your everyday diet, even when pressed for time. It is important to remember that all breakfasts aren’t created equal. The muffin or Danish you pick up from Starbucks may be quick, but these contain too much sugar and almost no nutritional value. By 11:30 your blood sugar will crash and you’ll be too hungry to even concentrate. Beware of some granola bars as well that pack in extra sugar and carbohydrates. Eating breakfast doesn’t have to be hard. You’ll feel better, I promise.